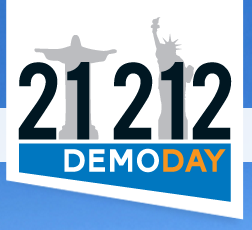 21212 Demo Day is the official unveiling of the newest graduates of the 21212 Digital Accelerator program, Brazil’s leading seed accelerator program. While hundreds of companies apply to 21212, but only the best are invited to participate in the 6-month program located in Rio (21) and NYC (212). The Demo Day will feature presentations from each of the accelerated companies, Brazil’s most promising tech startups. It will also include exceptional keynote presenters who will offer a window into the future of technology in Brazil and introduce you to the people and companies that are paving the way. This event provides exclusive access to a special group of innovators and thought leaders who are shaping the entrepreneurial ecosystem in Brazil. Attendees include leading international and Brazilian angel investors, VCs, thought leaders, media, and market insiders.